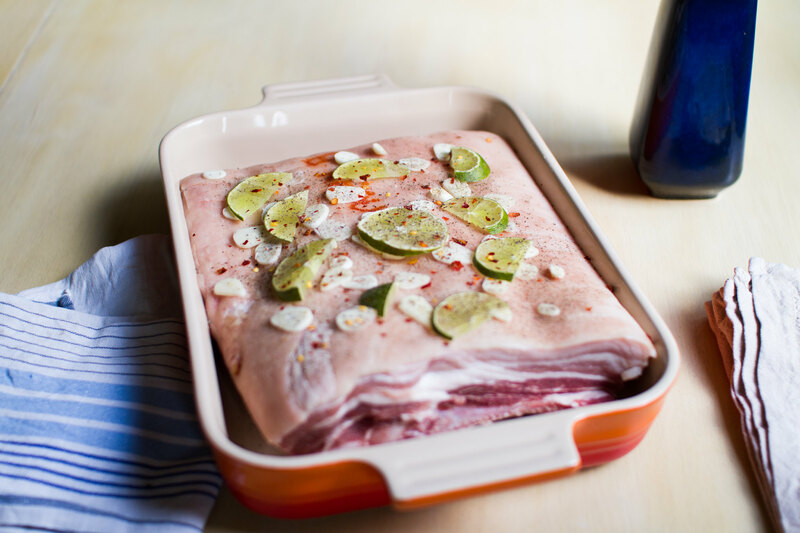 Another slow cook, but pork belly this time. 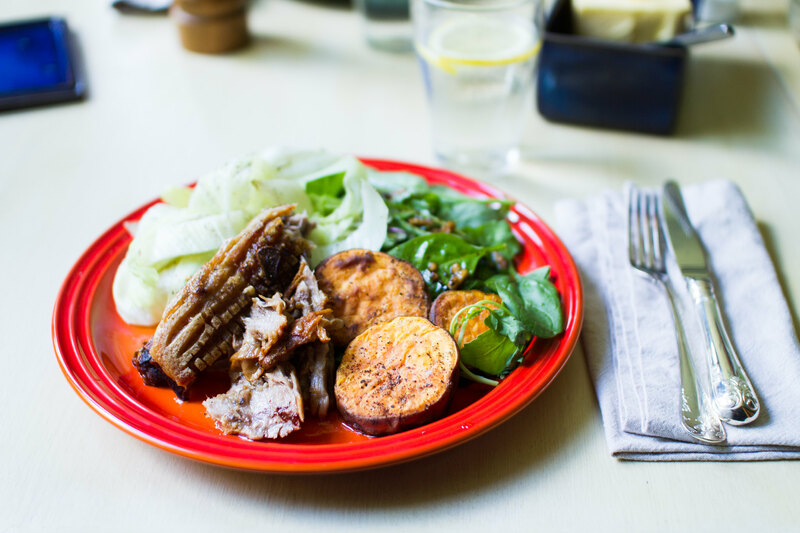 Pork belly with cabbage, sweet potato and rucola. 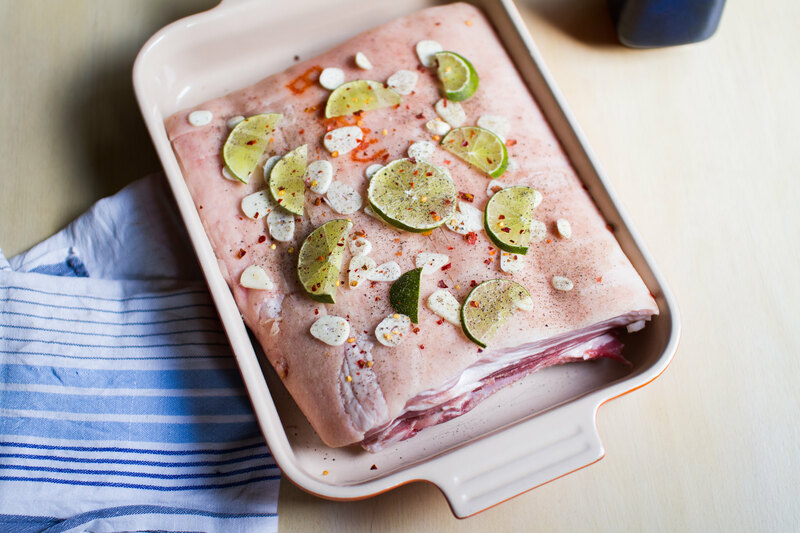 First we started the oven at 150 °C and started seasoning the pork belly. This time we did a nice mixture of sour and hot by mixing lime, garlic, chili flakes and black pepper. The pork belly was then left in the oven for around four hours before we let it rest whilst roasting some sweet potatoes. Seasoning of the day chili flakes, lime, garlic and black pepper. To finish off we steamed some cabbage and served it all with some rucola and a garlic dressing for the salad. Food is served. 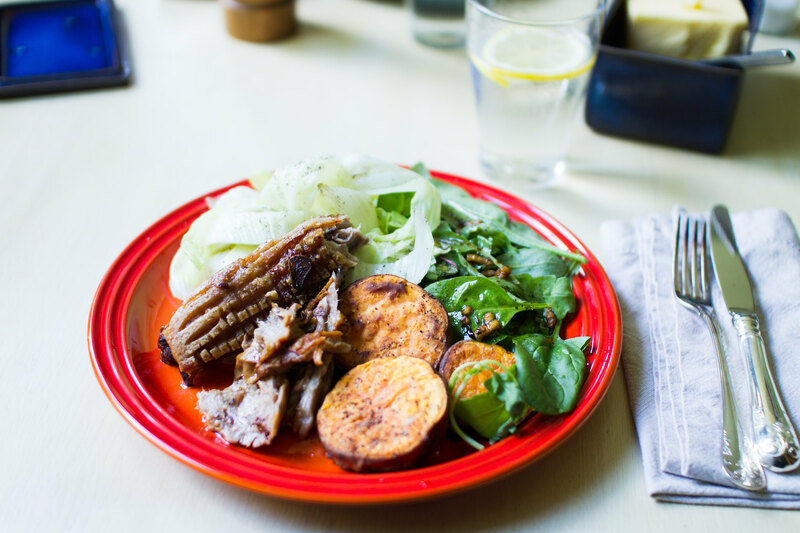 A mix of vegetables, salad and slow cooked pork belly. The dressing for the salad is an old simple favourite that Magnus’ grandmother use to make. One clove of garlic pressed into three parts olive oil and one part balsamic vinegar and seasoned with salt and pepper. As simple as that! For best taste allow the garlic to lay in the oil for a while before serving to free all those wonderful flavours.